The new iOS 7 is out now and available to download onto most iPhone and iPad versions . While apple has brought an entirely new and renovated UI design with iOS7 , But things are not going good in the battery department . 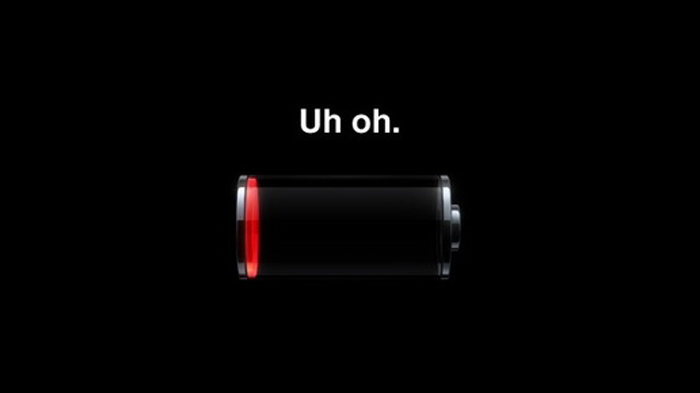 Its not been a week but there are numerous iPhone and iPad consumers who are complaining about poor battery backup . The iOS 7 might seem to packed with amazing new features but these features have taken toll on the battery life . here are 7 essential tips that will help you to save your iOS 7 based iPhone / iPad to save battery . Here are some tips that will help you to save your iOS 7 based iPhone /iPad to save a lot of its battery life . As usual decreasing the brightness of the screen works on all devices and should help you to save your iPhone’s battery life as well . The new iOS 7 brings in a new 3D home screen wallpaper , turning this feature off will help you to save a little extra juice . Its not a good idea to turn on all the notification on your iPhone / iPad . Turning off unnecessary widgets notifications will help you save your iPhone’s battery life . Most of the apps on your iPhone make use of the location service to locate your position using the GPS on your phone , which infact is a major reason to a poor battery backup . turning off this feature will help you to save your phone’s battery life . WiFi scanning can drain a lot of your iPhone / iPad’s battery life , turning it off when not required will surely help to save your iPhone’s battery life . On your iPhone / iPod , Siri’s raise to speak feature lets you launch Siri just by lifting your iPhone to your ear . No doubt its a very useful feature but it is by far the most battery draining feature on your iPhone / iPad . Every Time this feature is turned on , Siri will run in your phones backgrounds and keep on draining your battery unnecessarily until you lift your phone . According to a lot of people turning this feature off has worked for all . Most of the time the phone or the software in it are not responsible for draining the battery life , instead it can be your fault , Every battery needs a proper recharge cycle to provide maximum battery backup . these two simple tips will help you extend your iphone / ipad’s battery life . For a healthy battery , once in a week completly drain your iPhone/iPad’s battery and then let it charge completely . this simple trick helps to extend your iPhone /iPad’s battery life .